My second stop on Tuesday was Keating Wines located South of the town of Sonoma on highway 121 in the Cornerstone art and garden center. 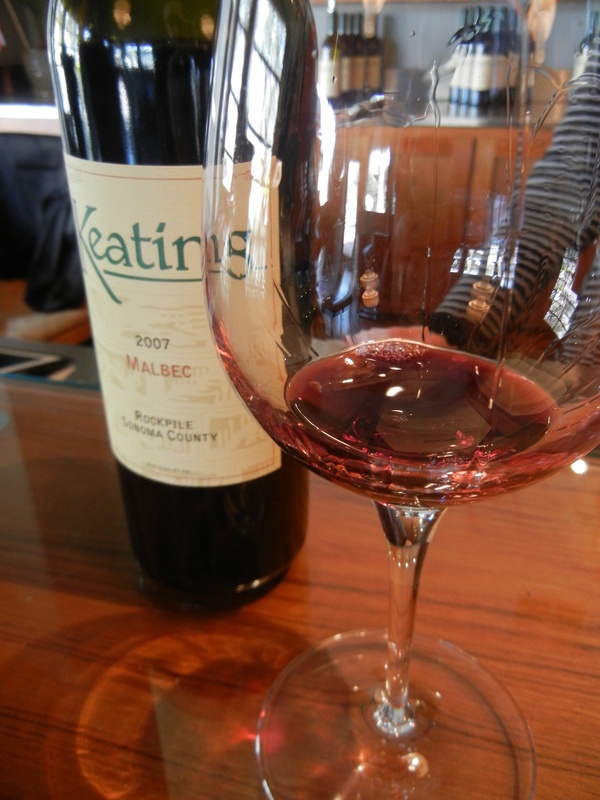 I was lucky enough to taste Eric Keating’s first vintage of Malbec (I think it was a 2005) about 4 years ago. When I put that wine in my mouth, I knew it was something special. This is the 2007 vintage and it’s still a great wine…. Back when I initally tasted this wine, it was one of the first Rockpile (extreme Northern Sonoma County) wines I’d ever had. The flavor and texture of this 07 is stunning. 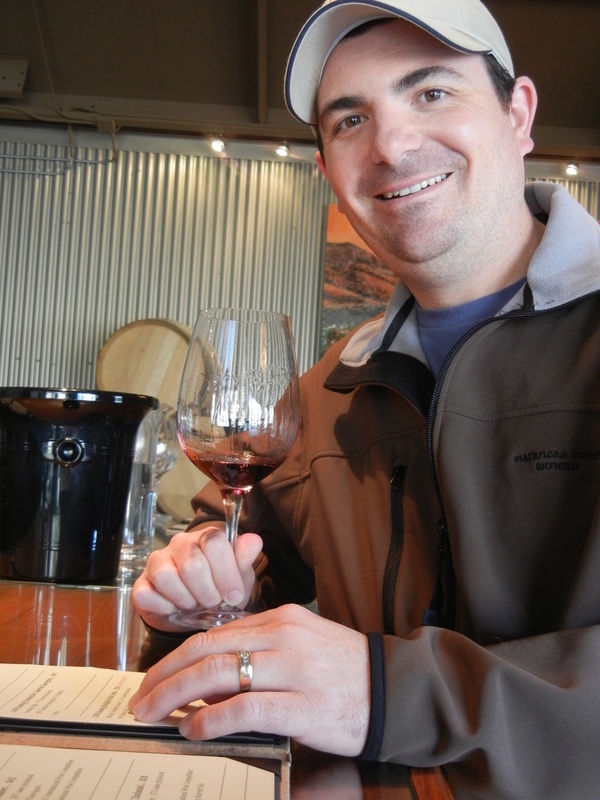 $5 gets you 6 tastings of wines made from vineyards throughout Sonoma County. I enjoyed all the wines and some of my favorites included the Sonoma Valley Merlot ($25) and the Rockpile Petite Sirah ($38). I’ve heard the Beckstoffer Georges III Napa Cabernet is outstanding, but it’s not available for regular tasting. The room is large and simple with an urban upscale feel to it. The focus is definitely on the wines and I will never fault a tasting room for that. My daughter even had a space to sit that was out of the way. 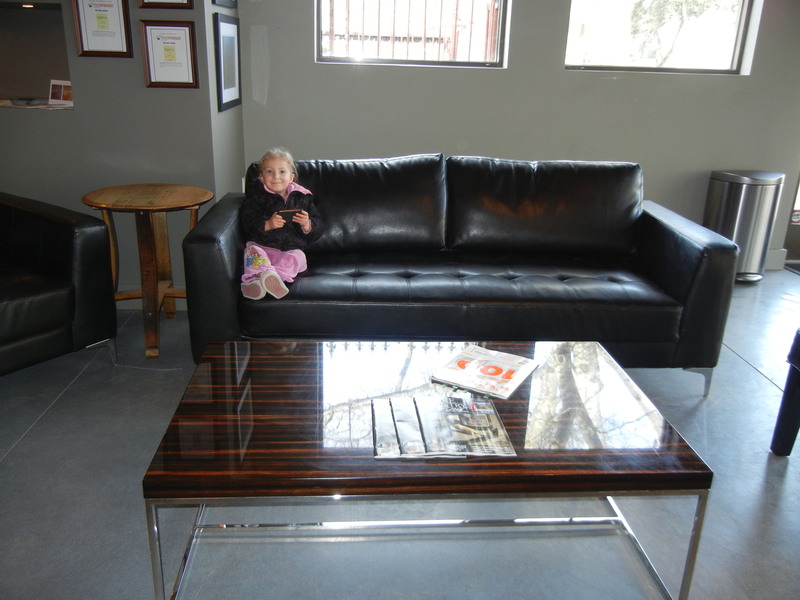 I could also see hanging out on these couches with some friends. I’d say I’m one happy taster! The Keating Wines tasting room is open from 10-5 daily. Definitely worth a visit.